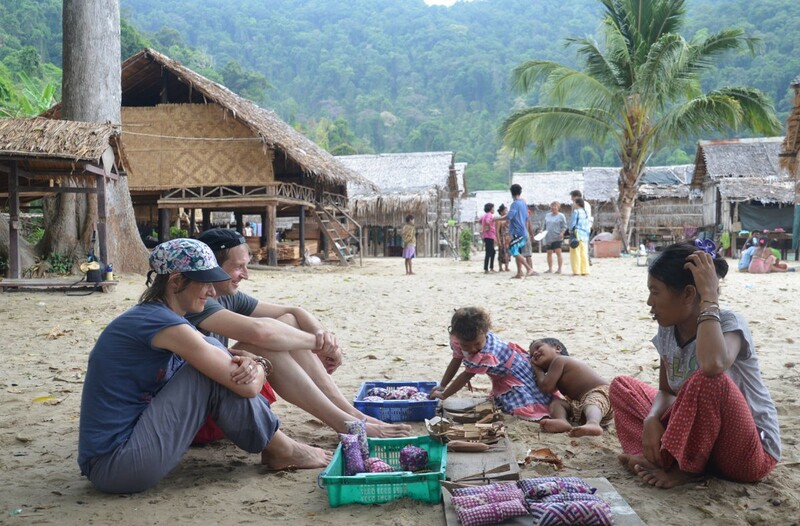 I was invited by my daughter Lena to the Surin Islands, which is where I met the Moken in their village. They live in simple housing and use their biosphere (the forest and the sea) in a way that is profoundly informing for visitors who think that sustainability is an invention of the western world. 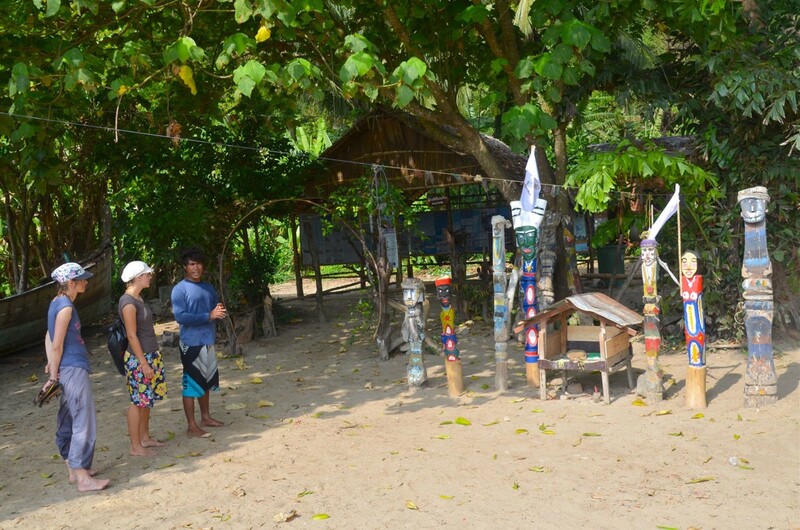 When listening to the stories of the Moken, how they lived before the administration of the National Park, emotions of helplessness and despair mix with feelings of compassion and solidarity. Their small nation is being undermined, restricted and restrained. They are being deprived of their way of life and their livelihood while being watched by visiting tourist groups as if in an open-air cage. At least I felt a little different than the tourist horde, as I entered the village by personal invitation of local resident Hook for two days of snorkeling and a village visit that included a history lesson by contemporary witnesses. 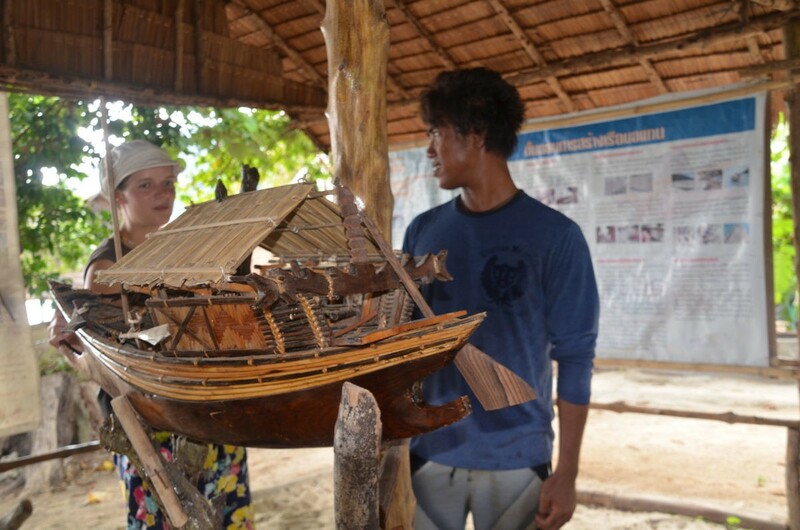 After my time on the Surin Islands I watched the film No Word for Worry, a documentary about the Moken. In this movie, Hook was the main character. I am unable to describe the movie, one has to find the opportunity to watch it. It is an impressive movie about an extraordinary man, who – although I was left with the feeling of helplessness – did not seem to lose hope. Maybe people like Hook will manage to stop or transform the current progress that is happening in their home. I do dearly wish him well. Him, his family, his people and not least ourselves.